We are what we browse, at least online. As our lives and movement become increasingly documented thanks to smartwatches, smart cars and smart homes, the amount of data we are generating is skyrocketing, but our control over its use is diminishing. Whether or not you’re logged in, Facebook links your browsing activity with the personal data in your Facebook profile to create a picture of your preferences and habits that attract the multitudes of companies involved in the buying, selling and tracking of our clicks. Fitness apps collect sensitive information about our health, as well as our constantly-updating location. Though this data can come in handy, for example, as a core of personal safety apps. As of April this year, many apps lacked a comprehensive policy on how this data is protected. As for our private communications over apps such as Facebook Messenger, Gmail and SMS, they are often insufficiently encrypted against spying by governments, network admins or service providers. Free services, whether they’re tiny apps or internet juggernauts, are notorious for monetizing user data. But as federal law increasingly constricts digital privacy, even services we pay for could end up auctioning off our online activity. Internet service providers (ISPs) recently got the congressional green light to sell customer browsing data to third parties, overturning a previous rule that, by the end of 2017, would have forced ISPs to request permission before making user browsing data available. While we can choose not to use Facebook or spread our internet searches across different engines, most of us aren’t free to change our ISPs, which are privy to the complete range of our online behavior. 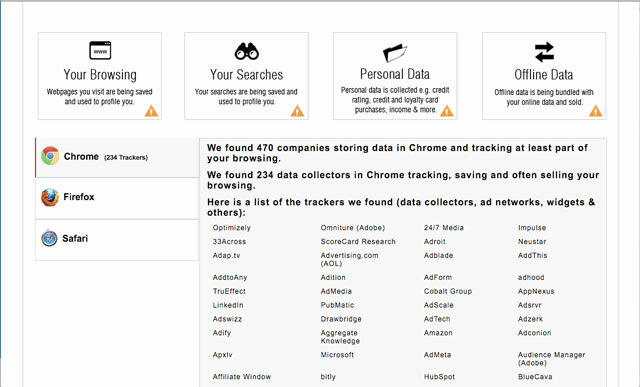 Details such as sites visited, links clicked, search queries, downloads and videos viewed can predict personal details including shopping preferences and health issues. Fortunately, you can take steps to keep control over your increasingly valuable data. Just as crucial, your efforts help set precedents for how companies and lawmakers can use what will be an exponentially growing mountain of sensitive personal information in decades to come. This browser plug-in from the privacy group Electronic Frontier Foundation ensures that your connection to sites is encrypted, at least at sites that support the HTTPS protocol, so that snoops can’t view what you’re doing on the site. Your ISP can still log the fact that you visited that site. A virtual private network (VPN) can mask your IP address, a main identifier of your computer or phone, so that ad trackers and your ISP can’t see what sites you visit or your activity there. That makes it handy for safely using public Wi-Fi networks, too. VPNs do this by encrypting your internet traffic, passing it through its own servers before sending it to your destination site. This adds another layer to your privacy issues: you now also need to trust your VPN provider, because it can see all your traffic. A good rule of thumb is to choose a paid VPN service, which reduces the financial incentive to sell details about your online activity to advertisers. This über-secure service encrypts all data twice, doesn’t log activity and can route traffic through servers in 59 countries on every continent except Antarctica. To create browsing that is anonymous and private, it can send traffic from its servers through the Tor network, which further scrambles the data so it reaches its destination with the IP address of a random computer in the Tor network. One subscription works for up to six devices, and you can pay by bitcoin. 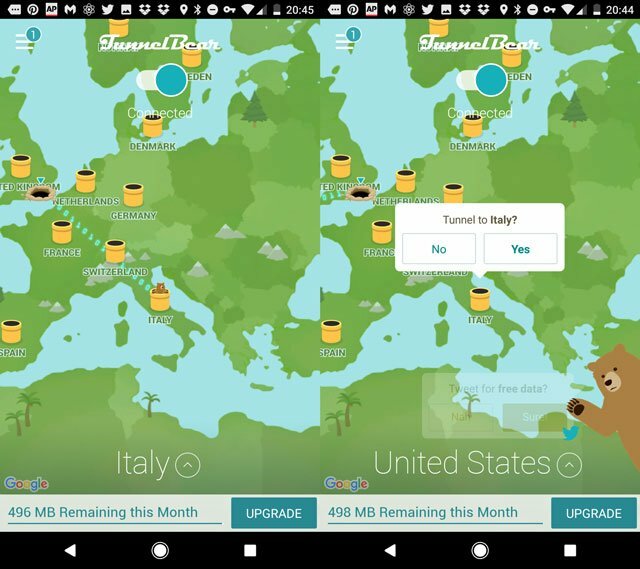 Via the über-cute design flourish of a bear who pops up in tunnels across the world in the name of encrypting your internet traffic, TunnelBear offers unlimited data and bandwidth. Use up to five connections for your computer as well as tablet, phone and other devices. TunnelBear has a no-logging policy for all activity. Choose to appear to be from over 20 countries in five continents. If you need to visit a government or website that blocks VPN traffic, try the GhostBear feature, which scrambles the encrypted traffic and makes your VPN use harder to detect. Price: $4.99/month (paid annually) or $9.99/month; free version with 500MB data per month at TunnelBear, iTunes or Google Play. There are quite a few ways to browse anonymously, such as installing anti-tracking plug-ins and clearing cookies in order to dissociate browsing sessions from each other. But if you’re willing to give up the comfort of your favorite major-league browser, a privacy-centric browser can accomplish all of the above in one handy package. Built on the same core as Google’s Chrome browser, the minimal Epic blocks several types of tracking, with a fascinating counter of just how many trackers it has blocked on other browsers on the same computer. A built-in proxy network feature reroutes your traffic through U.S.-based servers so that your IP address appears different every session, preventing the accumulation of a profile associated with your computer’s real IP, whether via site visits or search queries. If a site supports HTTPS, Epic always connects via this encrypted protocol. 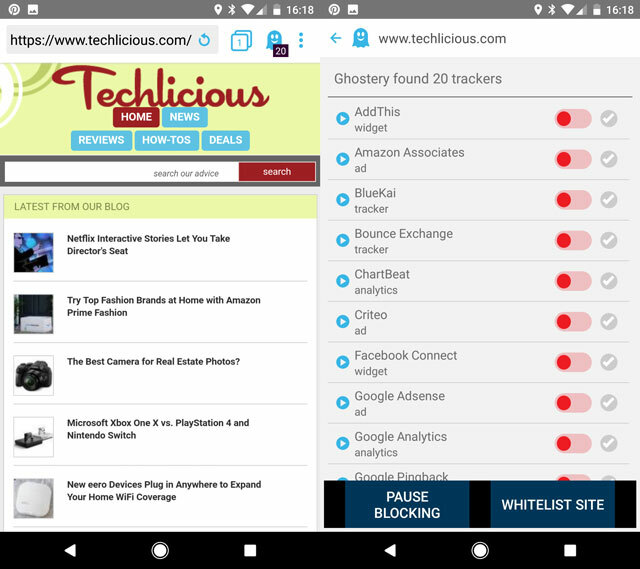 Protect your mobile browsing by using the tracker-blocking browser Ghostery, which is also available as a plug-in for desktop browsers. Because the default search engine is Google, to avoid allowing the Big G to tie your search queries to your phone’s ID, hit up a more privacy-focused search engine (see below), or head into your Google Account settings to delete your search history. Ghostery also has a handy setting to automatically request desktop versions of sites. Price: Free from Ghostery, iTunes and Google Play. What we search for doesn’t just yank the curtain back on a host of revealing details, ranging from impending pregnancy to mental health patterns—over time, our search queries can also influence the results we’re shown. Three quarters of U.S. searches are made via Google, which tracks what you search for and click on in order to fine-tune what you’re shown in the future. You can turn off Google’s personalized search (at Search Tools > All Results > Verbatim) but that doesn’t stop your searches being saved. Instead, consider using a privacy-focused search engine. 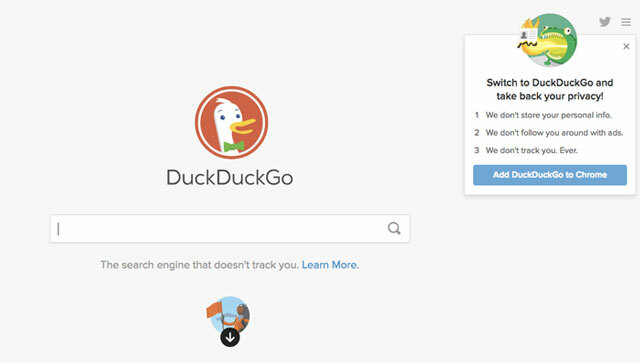 This sleek, fast search engine doesn’t save search history, track users or collect personal information from your computer. It offers many of the convenient features found in Google search, such as “zero-click info” that allows you to type simple queries such as “weather in Vegas” or “50 USD in euros” for an instant display of the results. The France-based Qwant is a search engine with extras. Along with a fast search, its home page also displays trending news topics and videos. Search results display in a slightly cluttered view that shows news results plus results from Twitter, with image results laid out across the top. Not all messaging apps are created equal. You probably won’t be surprised to learn that Facebook Messenger isn’t the most secure way to communicate. But Apple’s iMessage is, because it uses end-to-end encryption so messages can’t be spied on in transit or at their destination or origin servers. And standard text messages, which are send over your carrier’s networks, are not encrypted at all. 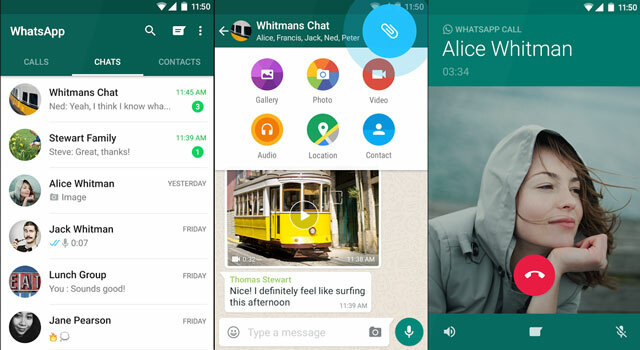 With 1.2 billion active users, WhatsApp is a great combination of security — it’s end-to-end encrypted — and convenience. Chances are, your friends are using it, too, and unlike iMessage, they don’t need to be Apple users. Secure communication only works if both parties are using an encrypted app. Bonus: Chatting on the web version, which sends messages through the phone app, is equally secure. Price: Free from iTunes, Google Play and Microsoft. 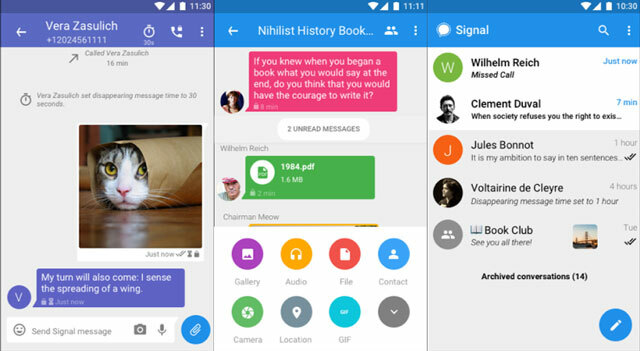 Like WhatsApp, Signal offers end-to-end encryption on all text and multimedia sent in all individual and group chats. 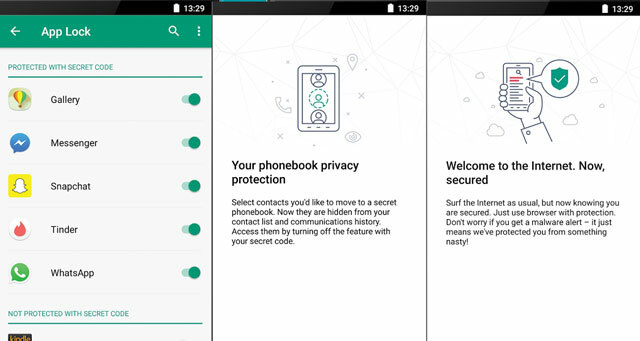 Additional privacy features include locking the app and messages with a pass phrase, blocking chat screenshots and an option to relay calls through its servers to mask your IP address. 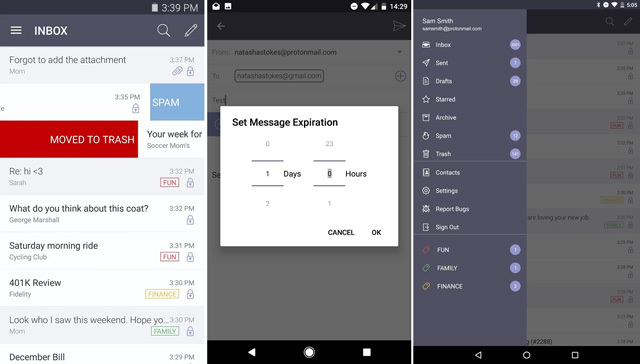 Signal can copy your existing text messages into its encrypted database, which is handy if you want to shift from unsecured comms without losing your text history. Price: Free from iTunes, Google Play and Chrome. Google recently stopped scanning Gmail messages for keywords for targeting advertising, but like most other email services, it does not offer end-to-end encryption of emails. Snoops including governments, businesses and hackers can still lift information from Gmail messages in transit. 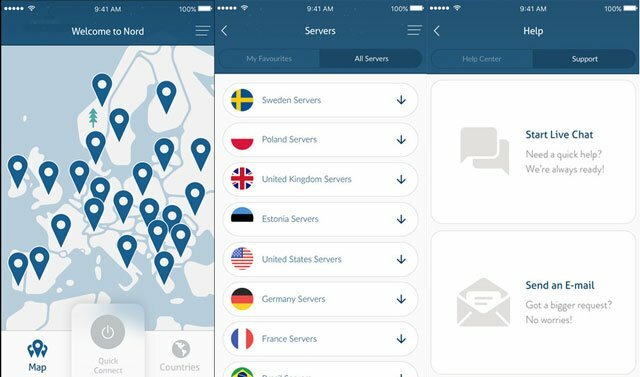 If the U.S. record of privacy law rollbacks has you glancing over your shoulder, the Germany-based, open-source Tutanota email app could be a good encrypted alternative to your current email provider. It encrypts your contacts list as well as your emails. Tutanota offers 1GB of mail storage for free accounts and allows password-protected emails to non-Tutanota users. This email service, designed by CERN scientists, has servers in Switzerland and uses end-to-end encryption. Messages cannot be read by anyone, including ProtonMail itself. Messages can be set to self-destruct after a set period. Upgrading to the premium version allows you to send end-to-end encrypted emails to non-ProtonMail users. One of the most basic ways to protect sensitive personal data is to put a strong password on all your accounts, including the email app you use every day and the shopping accounts you opened years ago. The breach of a single account with an easy-to-crack password can reveal innocuous data such as your birthday or hometown, which can then be used to hack more lucrative accounts. Since most of us use dozens of accounts and apps, a password manager is the easiest way to store — and just as important, to create — unique, tough-to-crack passwords for every account. This easy-to-use app imports passwords your browser has saved into its encrypted vault. It can run a health check to flag weak or recycled passwords. If you go for the paid subscription, Dashlane will come up with new, unique and strong passwords for old and new accounts. You’ll also be able to use Dashlane to log in on multiple devices. The app has a secure notes section to encrypt sensitive information such as financial details. 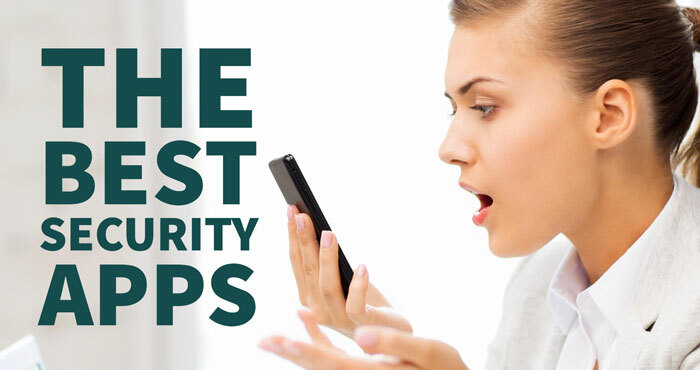 All the security apps on this list can’t help if a snoop is able to access your personal info at its core: your computer. Viruses or other malware, which may be downloaded via phishing emails or malicious sites, can wreak damage by copying sensitive financial details, spying on online activity, or tracking keystrokes to log passwords. A solid anti-virus program is the foundation of your digital security, with the ability to block spam and phishing sites, stop viruses before they get a foothold, and paid-for versions often also include a password manager and additional encryption for financial data.